The word Chakra is a common term used in Yoga and Ayurveda, but what exactly are they? A Sanskrit word, Chakra, means "a wheel, a disc, or any arrangement in circular form or organization," as defined by Harish Johari, in his book Chakras: Energy Centers of Transformation. Within our subtle self, the chakras are wheels of energy that circulate prana. The main seven chakras align along the midline of our spine to our crown and above. Each chakra is associated with specific physical, emotional and spiritual expressions. When we are feeling balanced and well, each chakra is positively reflected in out mind, body and spirit. Muladhara (Root): Provides us with a sense of grounding, security, fearless. Svadisthana (Naval): Expression of creativity, reproduction, and sexuality. 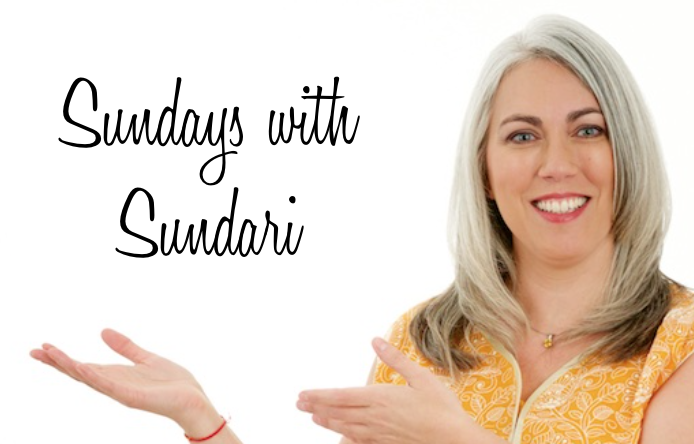 Manipura (Solar Plexus): A source for our personal drive and passions. Anahata (Heart): Connects the lower chakras with the higher chakra with sense of love and connection. The seat of our soul resides here and awakens our connection to spirit. Vishuddha (Throat): Allows us to speak our truth and supports our thyroid, glands and throat. Ajna (Third Eye): Our seat of intuition, inner self awareness and master glands. Sahasrara (Crown): Our thousand petaled lotus which connects us with higher spirit. Would you like to learn more about the 7 Chakras and how to evaluate your state of balance? 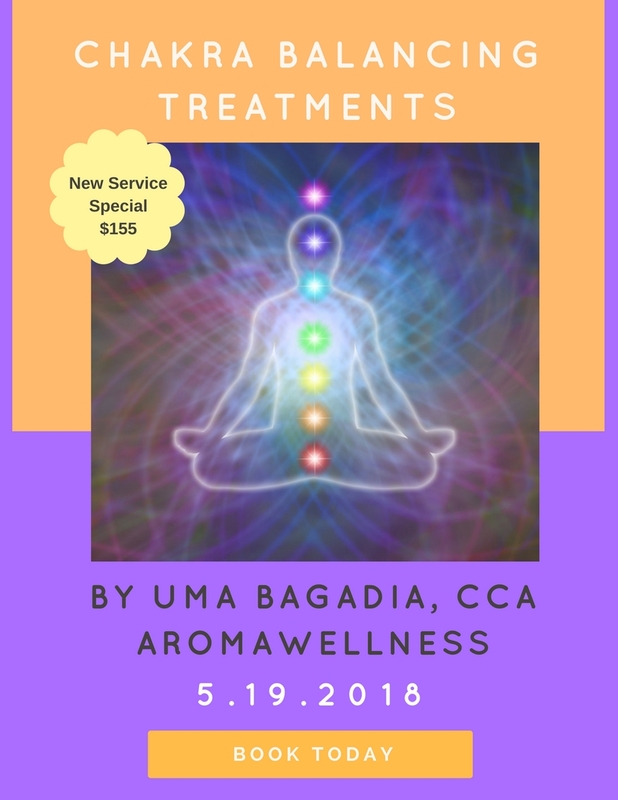 Starting in May, Uma Bagadia of Aromawellness will be offering Chakra Balancing treatments with Essential Oils. This is a great opportunity to work a true aromatherapy expert. Available one Saturday a month. Call to schedule your session for Saturday, May 19th. Regular price $175 per 90 minute session. Save $20 on your first session. Service available one Saturday a Month. Please call to schedule. Uma is the Founder of Aroma Wellness. She is a Certified Clinical Aromatherapist, very passionate and dedicated to create practical awareness towards the natural remedies using Essential Oils for resolving most persistent problems of human body, including stress. Uma has 23+ years of experience in the US healthcare system, working as a Medical Technologist(MT-ASCP) for major hospital systems in Wisconsin. She accomplished her MBA studies from UW-Milwaukee and Masters in Genetics from India, with keen interest in teaching-learning, focused upon a key role of Aromatherapy as an alternative-holistic approach for cure of the recurrently growing day- to-day human health problems in the present stressful mechanized world. Save June 16th on your calendars for this one time opportunity. 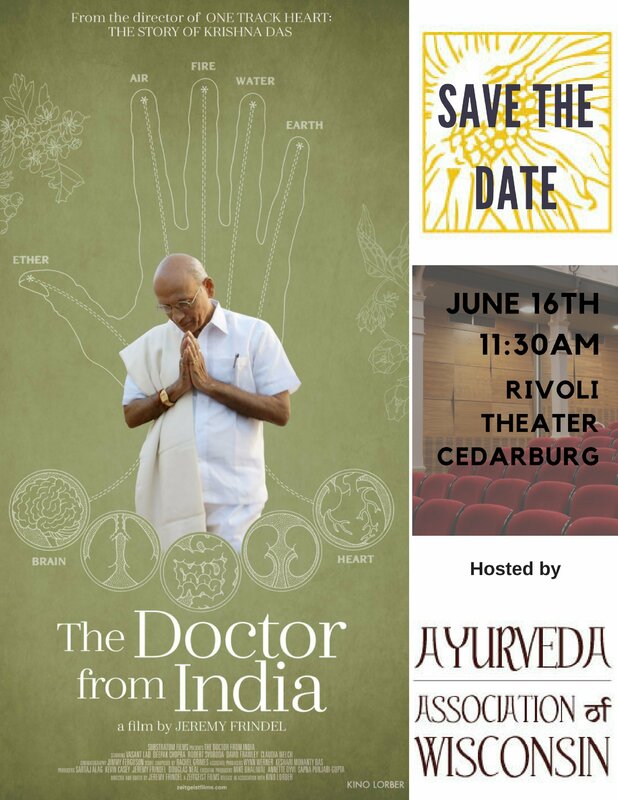 I'm so excited to be involved in bringing to Milwaukee this amazing documentary about the life and practice of Dr. Vasant Lad. Dr. Lad is seen as the founder of Ayurveda in the Western World. Watch your inbox for ticket sales starting next week. EMF/EMR Expsoure, are you affected?? Electro Magnetic Fields and Radiation are around us all the time. We are constantly bombarded by natural and man-made sources and we can't even see, touch, taste or hear it. However, we may be able to FEEL the effects of over exposure. Join me as we discuss the sources of EMF/EMR in our environment, how to assess if you are being impacted by exposure and natural ways to dispel it. 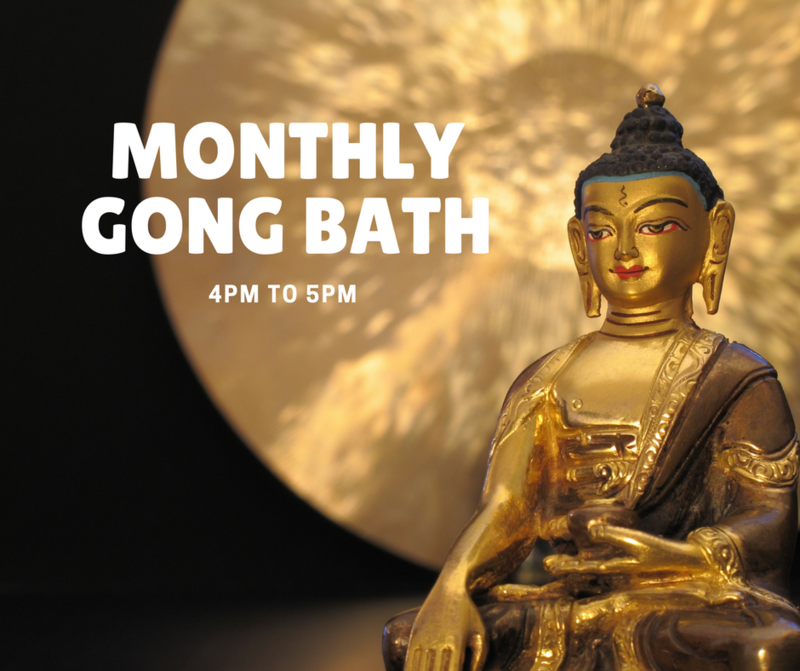 We encourage you to stay for the gong bath following at 4pm. Let the universal vibration of the gong wash over you. Heal, quiet & center your body, mind & spirit. Start your week off right with this relaxing and blissful hour. Bring what makes you comfortable: mat, blanket, pillow. Blissfully priced at $15 when you prepay. $20 at the door.